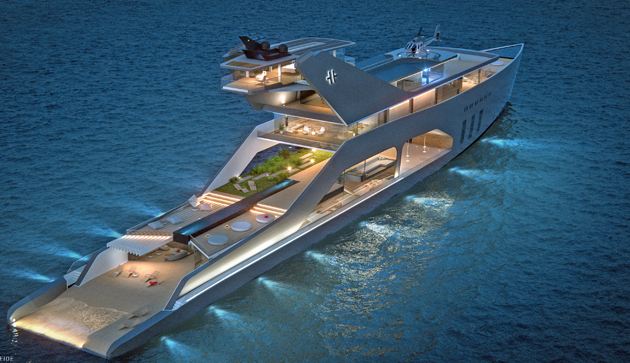 The Hareide 108-metre concept features a main deck with double-height floor-to-ceiling window, creating what the design house calls “a grand hall” for guests to enjoy. 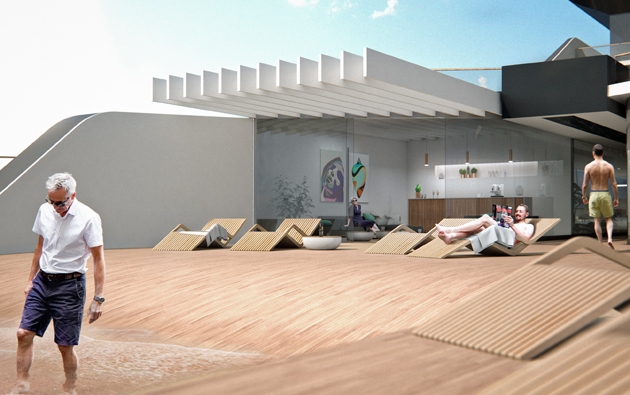 Above the main deck is an elevated dining and viewing area, plus a 20-metre pool surrounded by a tranquil garden with climbing plants, as well as a grassed area that’ll serve as a practical spot if you’re a dog owner. Above the sundeck, which has a helideck on top of the enclosed area, is a separate observation deck that looks to be one of the prime pieces of real estate on board. On the foredeck, the vast infinity pool will be a popular spot for guests. There’s another paddling pool aft on the main deck. Three-hundred square metres of solar panelling provide the charge for the bank of lithium-ion batteries, delivering enough sustainable power for low-speed cruising in sensitive areas, the designers say. The yacht’s main engines will be diesel-electric. 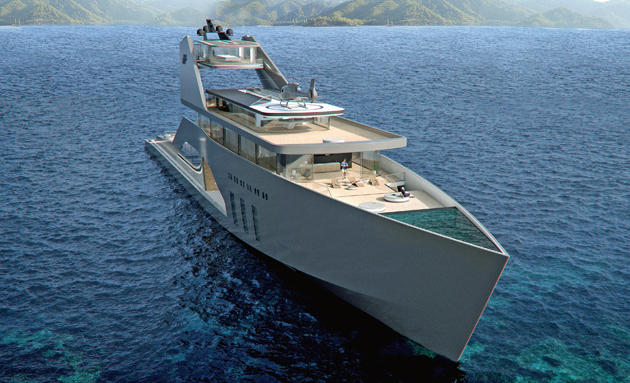 “Today’s megayachts are most often designed like floating luxury hotels with interiors based on traditional luxury. 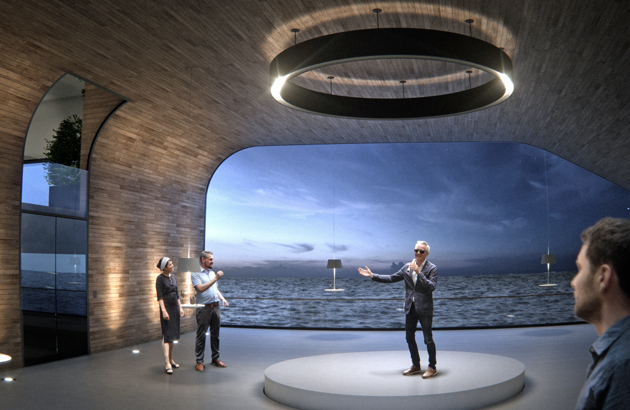 With this hybrid megayacht concept we want to shift the focus from extrovert admiration to creating a platform for actively experiencing the beauty of nature and the changing elements,” says Einar Hareide, founder of Hareide Design.